For our last blog in 2016, we thought we’d take a broader approach to looking at why being environmentally responsible is so important in a country like Australia. Often, Australia is held up as having one of the last pristine and truly ‘wild’ landscapes on earth. But in reality, most of Australia’s ecosystems are either compromised of have become incredibly vulnerable as a result of human activities. We’ve collected together ten sobering facts about Australia’s fragile ecosystems and the devastating impact that European settlement and industry has had on the sunburnt country. Since European settlement, 13% of Australia’s original vegetation and in temperate areas, overgrazing means that less than 2% of the original grasslands remain. Australia’s land clearing activities made up 12% of the country’s greenhouse emissions in 1998. The CSIRO estimates that land degradation as a result of deforestation costs Australia around $1 billion in lost revenue every year. 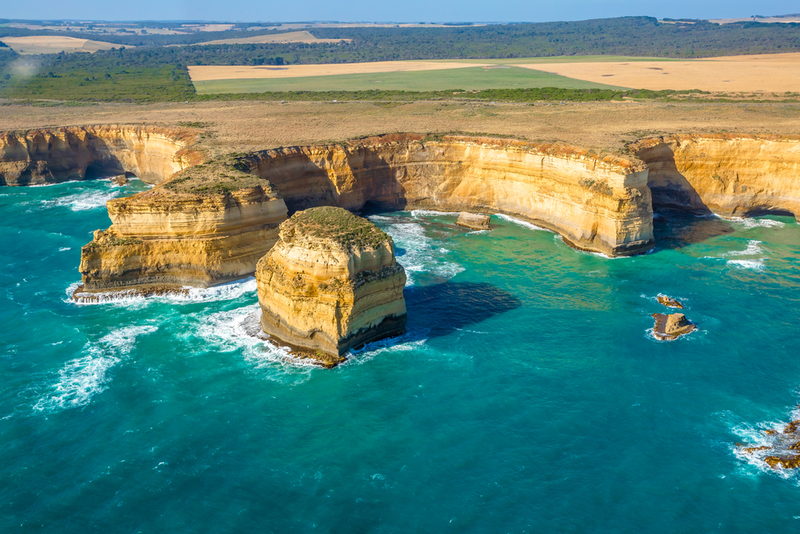 As a result of intensive agricultural activities, around 19,000 tonnes of phosphorus and 141,000 tonnes of nitrogen are released into Australia’s freshwater systems each year, ultimately ending up in the sea. 20 new pests or diseases are introduced into Australia every year. This includes between 250 and 500 new species of aquatic life transported via ballast water, and 2.500 species of introduced plants. Nearly a hundred species of Australian animals face extinction and 1500 land based species are considered to be threatened. Since European settlement 23 birds, 4 frogs and 27 mammal species have become extinct. Between 2001 and 2007, the volume of waste sent to landfill in Australia increased 12% from 19 million tonnes to 21.3 million tonnes. Australia has the highest rate of greenhouse gas production per person of any affluent country in the world. Despite renewable energy use in Australia having a 100% technical viability according to three different studies, most Australians rely on brown coal for their energy needs and Australia remains the world’s largest coal exporter. In Australia, over 80 different pesticides which have been banned around the world are still legal. These include chemicals classified as ‘highly hazardous’ and ‘extremely dangerous’ by the World Health Organization such as hormone disruptors and carcinogens. Alpha Environmental are established environmental consultants with a proven track record helping businesses effectively identify, manage and remediate environmental hazards. To learn more about our capabilities, please don’t hesitate to get in touch with us by calling 1300 039 181.